When you lose a deal, will you have a second chance to prospect with that decision maker in the future? Will coveted decision makers be willing to recommend products and services they didn’t purchase to others in your industry? How significantly does your overall brand influence buyers’ purchase decisions? Which loyalty indicators are strongest in buyers’ evaluations? How well does loyalty track to buyers’ overall decision satisfaction? Should sellers continue to pursue buyers who have declined to purchase from them in the past? Which industries are most and least successful in consistently rating high in loyalty metrics? Which geographic regions have the best and worst loyalty ratings? 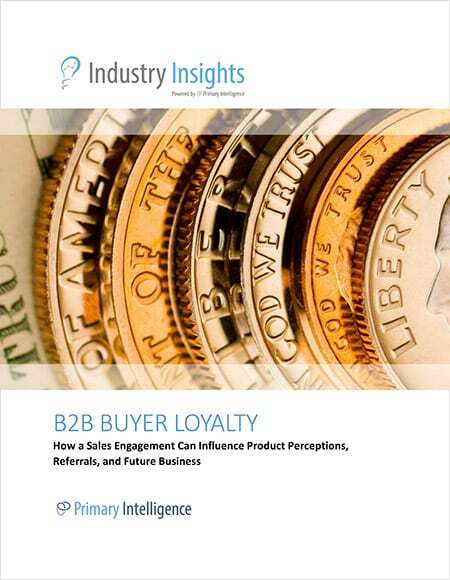 What should I do to increase my buyer loyalty ratings with B2B buyers in future sales opportunities?